Congratulation,very good informations,,can you tell more about the hills in B.C., I tought there was much more passes and long hills to climb. Thanks Rino! I’m glad you found it useful. I think Kamloops to Banff through Yoho NP might have more passes than our route, but we didn’t cycle that way so I can’t comment. Also I think highway 99 (sea to sky) would be more mountainous. Our route was more of a gradual incline than a series of mountain passes to cycle, but I guess it depends on the route you take. In general I’ve found Canadian passes to not be as steep or challenging as European passes (no switch backs etc). No worries, Raja! I hope you found the information useful. Thanks for all the useful information! This is something I would love to do next summer maybe, do you mind me asking how much money you needed for the whole trip? Need to start saving! Hey Kelly, that was great! I’m planning my trip for May 2018. One question. For your top speed you were going 68kph. Even in the prairies you noted a top speed of 58kph. Was that anywhere close to your average speeds? About how long would you spend biking each day? Hi Bob! Thanks for the comment 🙂 The route we took in the Prairies was actually pretty hilly (seriously, don’t believe people when they said it’s dead flat out there – it’s not!) I’m afraid our average speed wouldn’t have been anywhere near 68kph. I think we would have been averaging 15-20kph most of the time, but if we had a strong headwind then it would definitely slow us down. In Manitoba we were cycling in some Tornado areas, and one day had a 80kph headwind – I think we were average 5kph at one point. 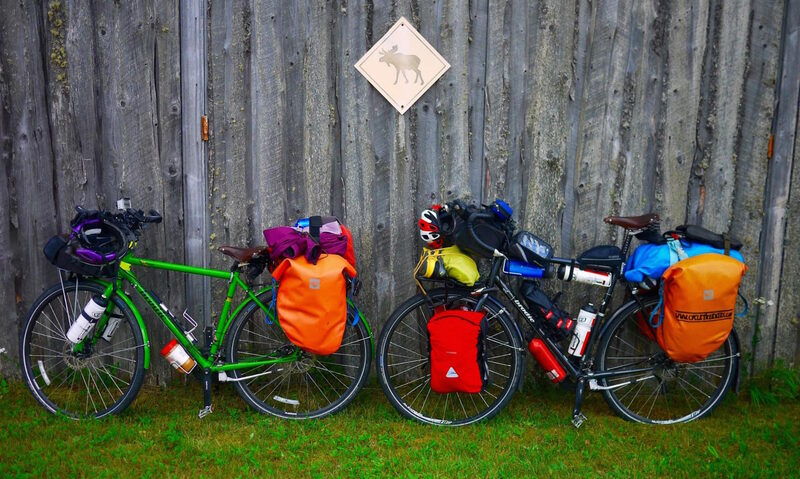 We also tour fully loaded on steel frame touring bikes (the frames alone weigh 13kg). If you plan on cycling on a aluminium framed bike, or road bike, I guess you could go a fair bit faster. We did meet some people that were doing 250km per day. We averaged about 80km per day. We spent anywhere from 3 hours to 8 hours cycling each day, and took at least 1 or 2 rest days per week. Hope that helps a bit! Good luck with the planning! Yes that’s awesome. In the research I had been doing I couldn’t tell how long each day would be. The 3-8 hour range seems very manageable. Gives me a good benchmark to work towards when training. Thanks again, you’re blog and stats page were very helpful. Good luck on any future trips! Thanks Bob! 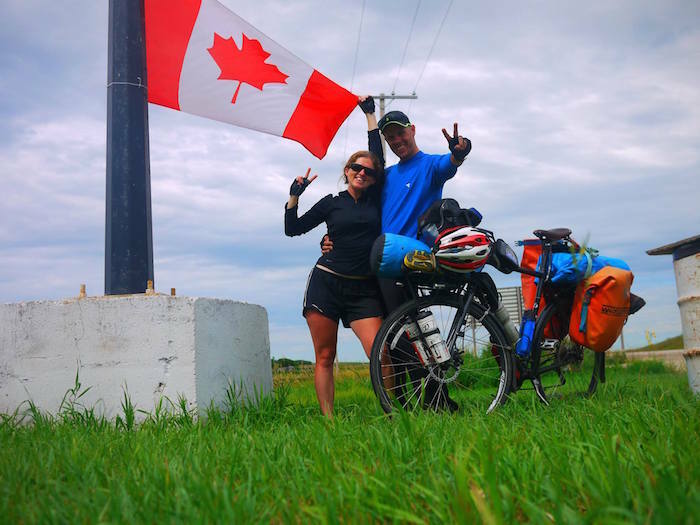 I’m glad you found the blog and info helpful 🙂 We loved cycling across Canada, so I’m sure you will have an amazing time! Next PostNext CYCLING THE ROCKIES TO CALGARY!